Going to the hospital for an STD test comes with a number of downsides. For one, it is expensive. Second, many people find it embarrassing. Third, it is inconvenient – you have to make an appointment to see a doctor. This page describes three more convenient, less expensive alternatives for getting STD tested in Chicago. This is one of the easiest options when it comes to testing of sexually transmitted diseases. Home test kits for STDs are simple, fast and convenient. Once you buy a test kit online from one of the several providers available, you just provide a sample and mail the kit back to them. You will then receive your results online in 2 to 3 days. If you would like to keep your identity confidential, home STD testing is an ideal option. For between $50 and $150, you can get a home STD test delivered to your home. This is much less than you would pay at a hospital. A home STD test kit is as easy as it gets. You do not have to make an appointment, go to a hospital or sit in a waiting room. That said, home STD tests have a couple of drawbacks. The results from a home STD test are not a hundred percent accurate. The FDA even warns about the potential inaccuracy of home STD tests. This is why experts recommend seeking a doctor’s advice and/or getting a secondary STD test, if you test positive on a home test. STD test kit providers do not provide a professional counselor to help you understand your next steps, should you test positive. The only option, should you need advice, is to then see a doctor, purchase an online STD lab test or visit a Free clinic where counseling is available. Another alternative in Chicago is one of the several online STD labs that have come into our market recently. Like home testing kits, online STD test labs are convenient, simple to use and affordable. But – because testing takes place in a traditional lab with rigorous standards – test results from online STD labs are also highly accurate. The cost of an online STD test is much lower than what it would cost you at a hospital and slightly more than a home test kit. This makes it an ideal option if you have tight budget. To help offset the expense, some online STD labs will even bill your insurance provider directly. Online STD tests are simple, quick and convenient. 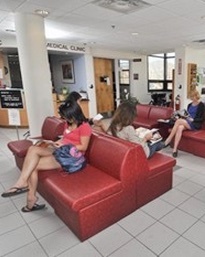 There is usually no need to make an appointment or be kept waiting in a hospital waiting room. You just drop by the local lab at your convenience for a 5-minute sample to be taken. Unlike at a Free clinic or a doctor’s office, your identity is not revealed. At the lab station where you give your sample, you’ll provide them with a code instead of your name. False positives or false negatives are extremely rare, as your sample is processed using the same lab processes & equipment a hospital lab uses. In the event you test positive, most Online STD Test providers have medical professionals on standby to advise you on issues such as treatment options and care. Online STD tests are a bit more expensive than a home test, but you will still find it much more affordable than a hospital or doctor’s visit. Online STD testing is quite straightforward. You’ll go online, order the test, pay for it online and get a receipt with a special account code on it, not your name. You will then visit a local lab station where you will show your receipt and provided them with your code. 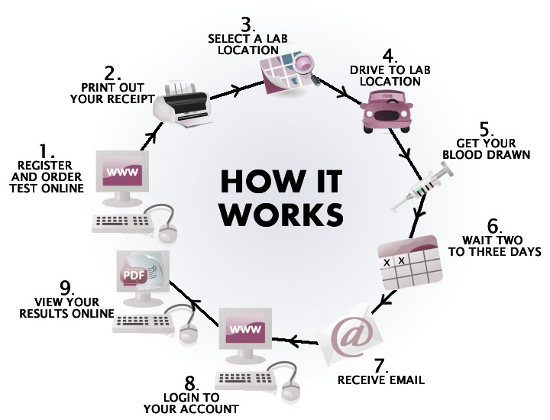 Once a blood, saliva, mouth swab or urine sample is taken, your results will be posted confidentially online. The results take 2 to 3 days on average but you can reduce the turnaround time to one day for an extra fee. Free STD clinics provide the same level of reliability as hospitals, but at very little to no cost. That said, before you visit a clinic that offers free STD testing services, there are some downsides you should be aware of. One, your anonymity is not guaranteed. Most clinics take patient details including names. Your name may also be shared with other government organizations. Second, you usually have to undergo mandatory counseling, regardless of your test results. If these two cons are no big deal to you, then you should probably take advantage of the high standards and extremely low costs of free STD testing clinics in Chicago. Here are a few Government-run clinics that provide free HIV and STD testing in the ChicagoLand area. Open Monday, Wednesday and Friday 8am to 4pm. Tuesday and Thursday 10am to 6pm. Open Monday and Wednesday 8am to 4pm. Tuesday 9am to 5pm. NOTE: Only the Lakeview clinic offers fully anonymous STI testing. No clinic requires an appointment. Below is a brief outlook on four specific STDs and their occurrence in Chicago. As you can see, Chicago generally suffers from higher rates of infection than the US at-large. Unless specifically mentioned, all of the infection rates discussed below are per 100,000 people. In 2016, the latest year for which there is data, the Chicago metropolitan area had a recorded Chlamydia infection rate of 591.3 people in 100,000, higher than the US average of 520.1.1 in the same year. In 2016, the infection rate for Gonorrhea in the Chicagoland area was 174.2, higher than the from the previous year. The US average for the same period was 162.2. Another STD that has seen a gradual rise is Syphilis. The 2016 average for Chicago was 39.8 while the US average was significantly lower at 36.7. 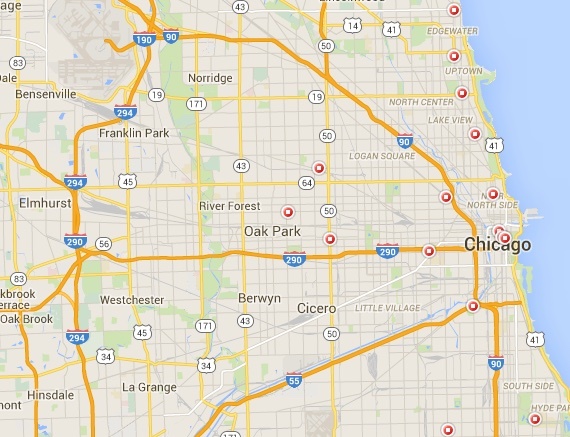 Chicago has one of the highest HIV infection rates in the US. In 2014, Chicago experienced 827.9 cases of HIV per 100,000 citizens, much higher than the US average (375).